« Just how dumb are Lori Loughlin’s daughters? The selection process is pretty messy … and very subjective. From the huge stack of applications that a college gets, there are some applicants that clearly stand out as the most super among super stars. 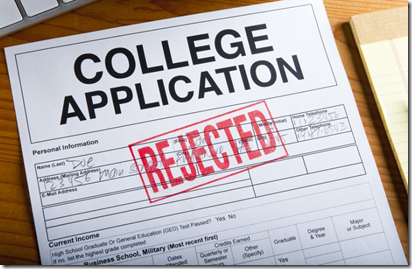 At the other extreme, there are some applications that are clear rejects – applicants who fall short on all imaginable criteria. These under-achievers get trash-canned in short order … should have saved the postage and app fee. That still leaves a pretty big pile (the majority of applications) that need to be sifted. While it’s tempting to believe that all the people in this big pile get ranked from 1 to 16,000 based on a magical formula that measures and weights all relevant attributes, that’s not the way it works. After the clear acceptances and the clear rejects, the admissions committee begins “building the class”. First come the university’s preferential admits. Think: star basketball players, legacy applicants, President’s daughters, etc. All of those applicants are qualified (one hopes) … and have the added benefit of being desirable based on ‘community’ criteria that the university is free to set at will. Nothing morally wrong or illegal about that part of the process. Then comes the socially and legally mandated diversity requirements – making sure that all so-called “protected classes” are appropriately represented. Again, no problem since these applicants are drawn from the pool of pre-qualified applicants. I heard one university admissions director say that once the above groups are selected, less than half of the enrollment slots are available for all of the remaining qualified applicants. The odds get pretty bad for the applicants in this pile… and I’m told that there’s barely a shade of difference among the vast majority of these candidates. Again, there’s no magical weighting formula … the process is by nature very subjective. An application has to hit a reviewer’s desk on the right day … and something in the application has to resonate with that reviewer for a “yes” vote. Another day, another reviewer and the same application might get rejected. That’s the way the sausage gets made. Does that mean that “more qualified” applicants may get aced out by run-of-the mill “qualified” applicants? Sure it does, because there’s a lot of subjectivity involved. So, can an applicant who is rejected rightfully claim that he or she was more qualified than a qualified student who got admitted? Because there’s no way to prove superior qualifications. Again, the process is highly subjective. And, even if there were a way to prove relatively superior qualifications, it wouldn’t matter. Because all colleges say “many factors are considered” … but none say “there’s a formula”. The only legit claim of “unfair rejection” might come from an applicant in a protected class — such as race, gender, or sexual orientation. This entry was posted on March 19, 2019 at 6:59 am and is filed under College Admissions, Diversity, SAT - tests. You can follow any responses to this entry through the RSS 2.0 feed. You can leave a response, or trackback from your own site.